Rock the dance floor in this 70’s Disco Dude costume for hire. Ideal for a 1970’s or Studio 54 dress up theme or party. 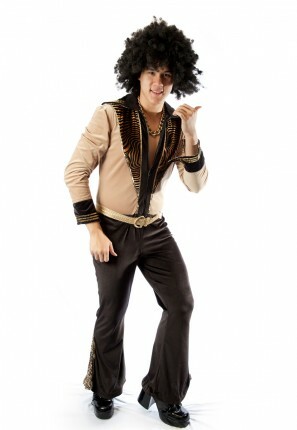 Costume includes velour jumpsuit, gold belt, gold chain necklace, afro wig and patent platform shoes.